One of the great things I enjoy about Bethesda is the architecture of its homes – everything from cape cods to colonials, ramblers, old farm houses, new contemporaries, arts & crafts charmers and Victorian beauties. We even have a couple of castles in Glen Echo Heights. Many of our neighborhoods have fascinating histories weaved within them as well-known people moved from DC to the “burbs” of Chevy Chase and Bethesda. Like whispers of eras gone by, you can drive through one of our local neighborhoods and see the hand of the architects from each decade at work. Some of the oldest homes include a few Sears craftsman style catalog homes here and there. And since there is little open land left in our area, brand new homes crop up in the form of “in-fill” as builders tear down older homes to build large (some say too large!) homes in their place. But no matter the size or shape of the homes nor the decade of which we speak, the American Dream of homeownership remains the same and has long been the goal of immigrants and citizens alike. Homeownership is the backbone of our communities and our economy. Despite the gloomy U.S. financial news lately, according to the National Association of REALTORS (NAR), 8 of out of 10 people still feel that real estate is a solid investment. With today’s record low interest rates coupled with the reduced home prices we have seen in the last few years, this really is a great time to buy a home, particularly in the Bethesda and DC area. While mortgages are definitely tougher to get, lenders are still making loans and you can buy a home with as little as 3.5% down using the government-backed FHA mortgage program. Somehow our Bethesda-Chevy Chase area has bucked the trend of the rest of the country and our home sales statistics have remained strong this spring. We have seen year-over-year price improvements and strong sales volumes. For example, in May 2011, in Bethesda and Chevy Chase, there were 110 sales (homes and condominiums) at an average sold price of $968,503. The median sales price was $758,000. Last year, in May 2010, there were 126 sales of homes and condos at an average sales price of $758,894 and a median sales price of $736,794. So why do we have such a higher average this year? Well it seems that our luxury home market has come back strong in 2011! For example, in May 2010 there were only 15 homes sold between $1 million – $1.999 million. And there were only 3 homes that sold that month at $2 million or more. The top sale was $2,570,000. Yet in May 2011, it’s an entirely different picture. We have had 25 sales that were priced between $1 million to just under $2 million and 9 sales above $2 million! The top sale was a $5,000,000 condo and the top single family home sale was just under $4.5 million. We have seen similar trends in other months as well. As a REALTOR, these statistics tell me that those folks who have a significant amount of money appear to be investing it in real estate. Real estate has always been a great long-term investment. If you have considered buying a home, this is a great weekend to do some window-shopping as June 4th and 5th is officially dubbed National Open House Weekend. I just ran a count for open houses posted for tomorrow (June 5th) and it showed that there are 141 scheduled open houses in Bethesda and Chevy Chase alone. There may never be another day when so many homes are open for viewing! So why not shop around? A great website to check for a complete list of local homes for sale and associated open houses is www.homesdatabase.com. This website is the most accurate, up-to-the-minute site available since it is operated by our multiple listing service, MRIS. Over 300 Realtor® associations are participating in the National Open House Weekend event, along with NAR global partners in Canada, Denmark, France, Israel, Mexico, Norway, Peru, Philippines, Romania, Sweden, and the United Kingdom! Yours truly will also be participating in Bethesda, of course! 5449 Alta Vista Rd - a charming Cape Cod - open Sunday! 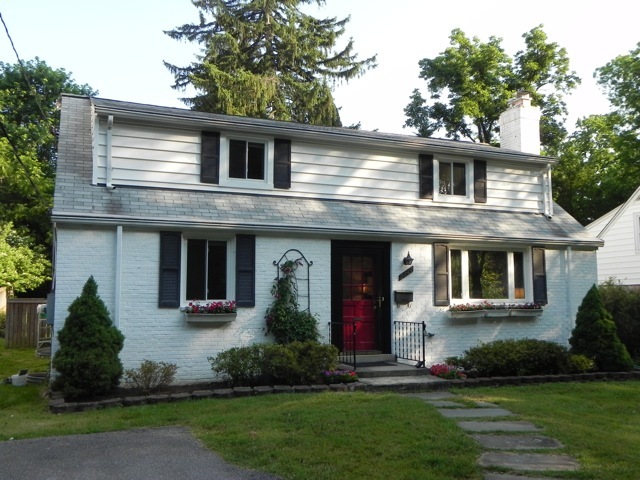 Since Brian and I specialize in the Bethesda, Chevy Chase and Northwest DC area real estate, we must take this opportunity for a shameless plug and invite you to our open house at 5449 Alta Vista Rd in Bethesda. It’s an adorable 4-bedroom Cape Cod complete with a family room addition, finished basement and a nice large backyard. Plus, it’s close to the NIH Metro stop, YMCA, parks, downtown Bethesda and shopping. It embodies the “average home” in Bethesda but offers above-average charm and all that Bethesda has to offer at a great price. We would love to meet some of our readers, so please stop by and say hello. This entry was posted on Saturday, June 4th, 2011 at 8:42 pm and is filed under Bethesda Real Estate, Historical Interest. You can follow any responses to this entry through the RSS 2.0 feed. You can leave a response, or trackback from your own site.